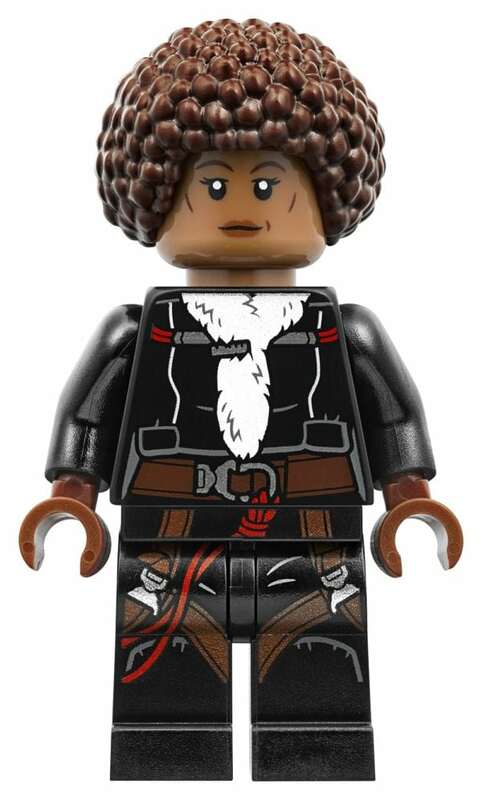 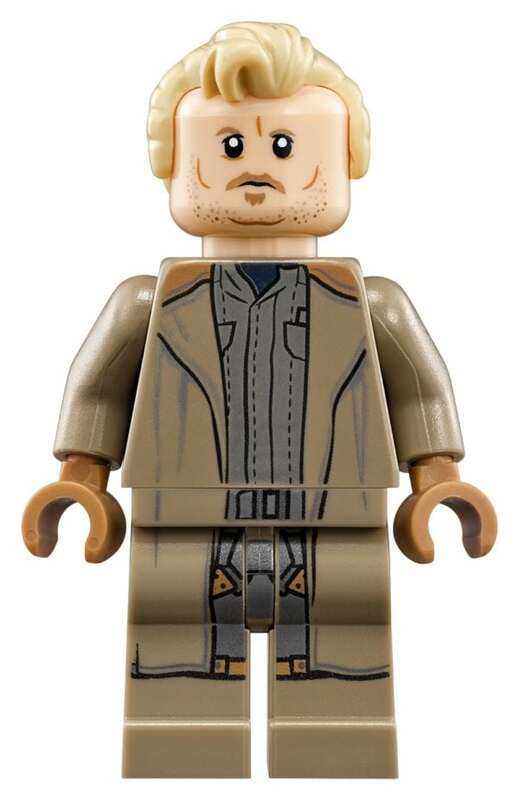 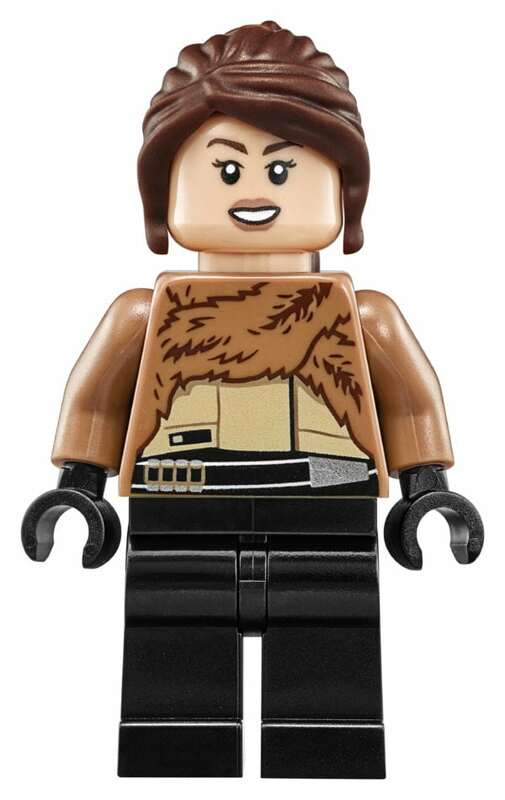 * Includes 5 LEGO® minifigures: Qi’ra, Val, Rio Durant and 2 of Dryden’s guards. 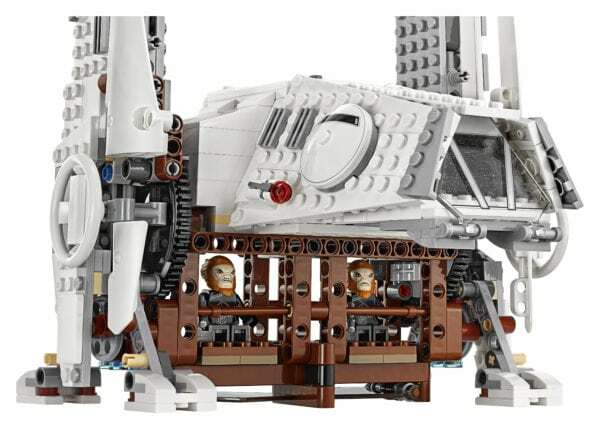 * Features rotating pylons with movable lifting hooks, an opening minifigure cockpit, side-mounted stud shooters and a platform underneath for carrying minifigures. 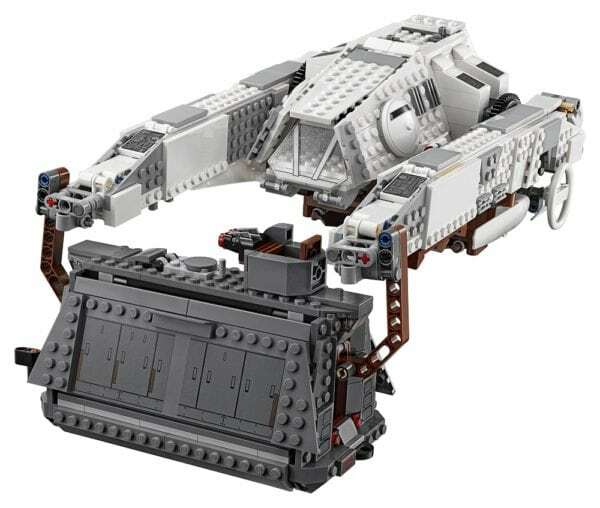 * Includes a buildable, opening cargo container with lifting beam. 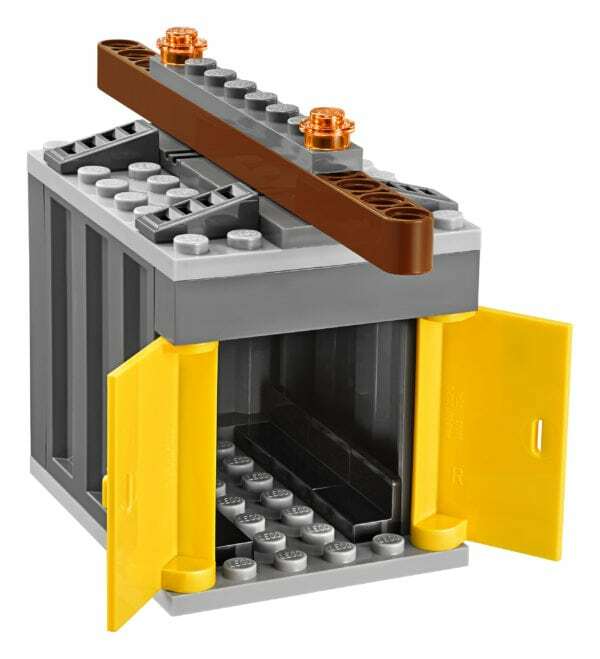 * Load the container, hook it up and lift it away! 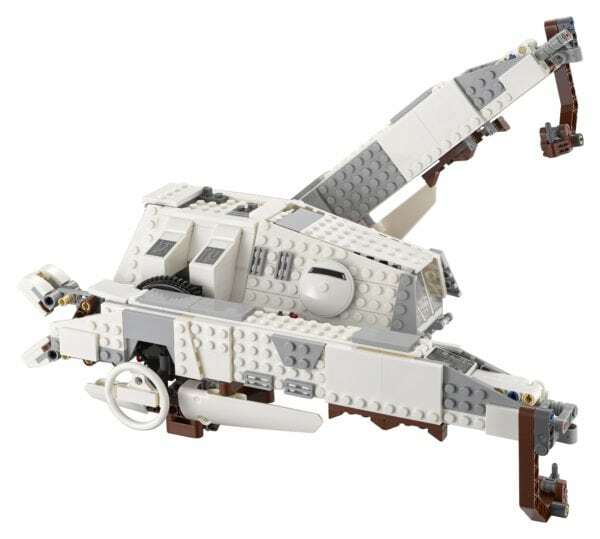 * Rotate the lifter arms for landing and flying modes. 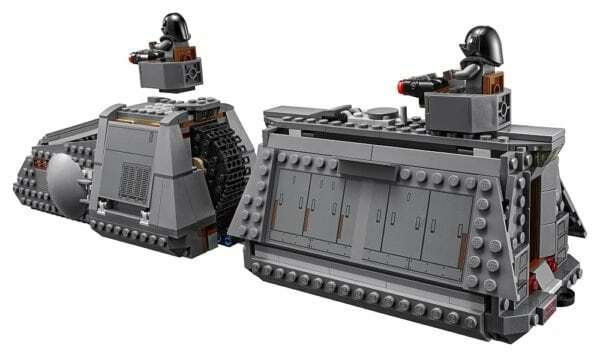 * Weapons include 2 blasters, 3 blaster pistols and 4 rack-mounted blaster rifles inside the container. 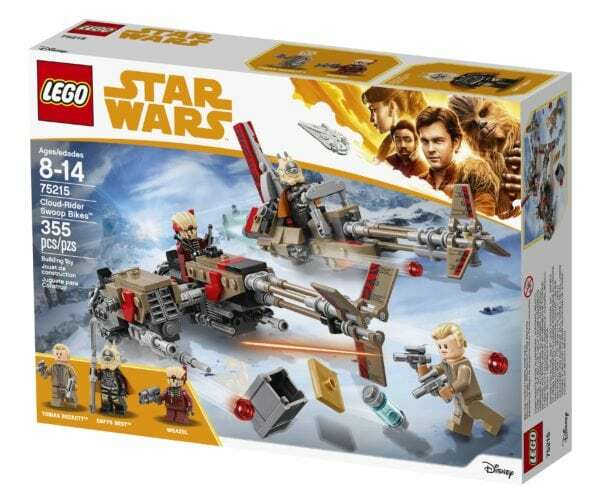 * Combines with the 75215 Cloud-Rider Swoop Bikes and 75217 Imperial Conveyex Transport for the ultimate high-speed train heist! 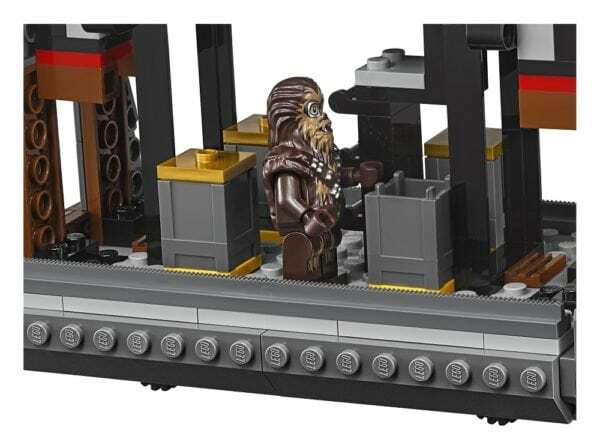 * Recreate exciting scenes from Solo: A Star Wars Story! 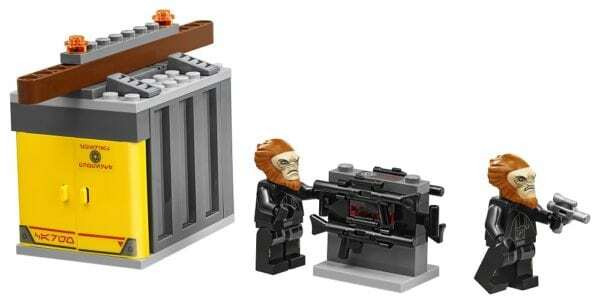 * Imperial AT-Hauler measures over 4” (12cm) high, 12” (32cm) long and 4” (21cm) wide. 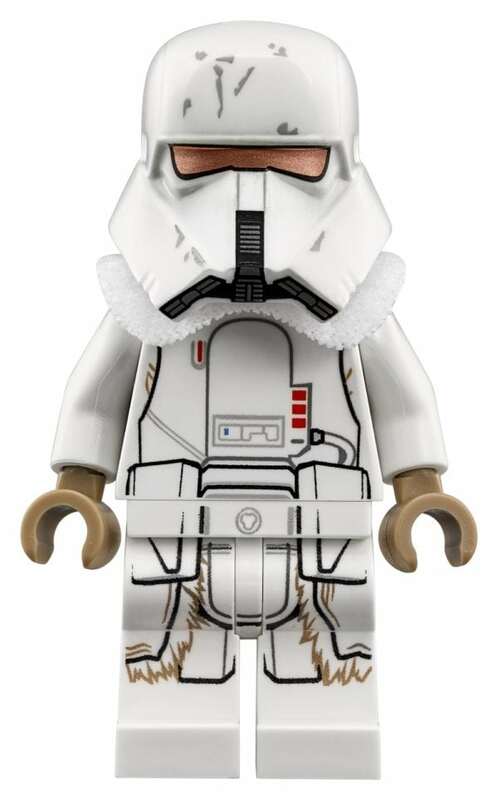 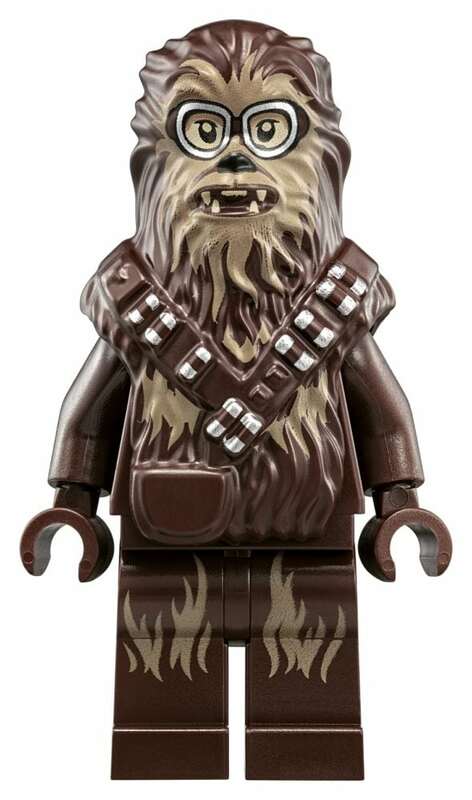 * Includes 5 LEGO® minifigures: Han Solo, Chewbacca, an Imperial Gunner and 2 Range Troopers. 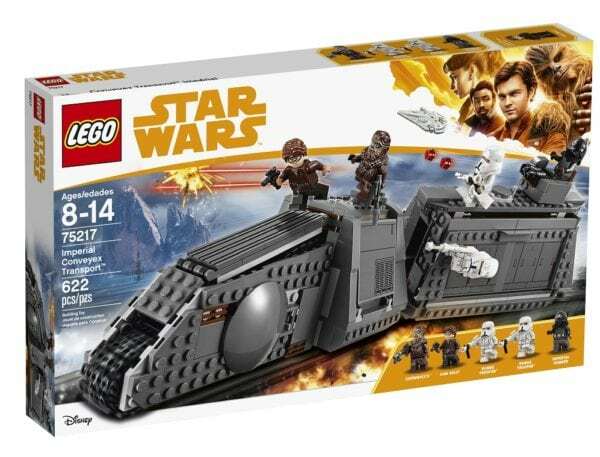 * Imperial Conveyex Transport features an engine section with opening front revealing a wraparound tank track, opening driver’s compartment and a weapon store. 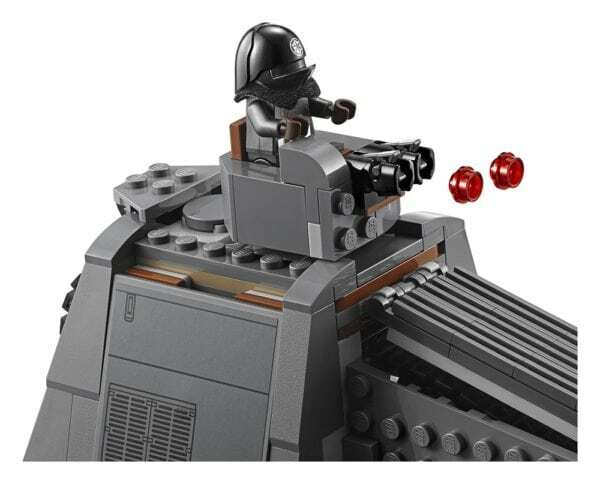 * Detachable, wheeled cargo wagon features opening sides and top hatch, a movable rotating gun turret with 2 stud shooters, a hitch at the back and studs on the side for the Range Troopers to walk on. 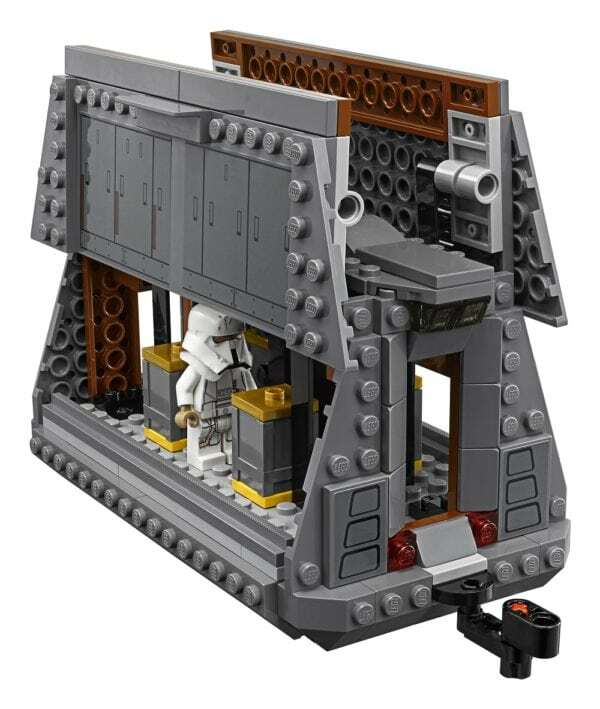 Inside, there’s an access ladder leading to the top hatch and space for the 4 included coaxium containers. 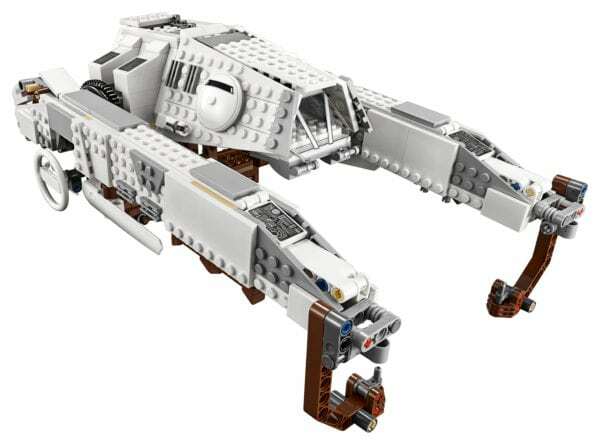 * Tilt the train from side to side, just like in the movie. 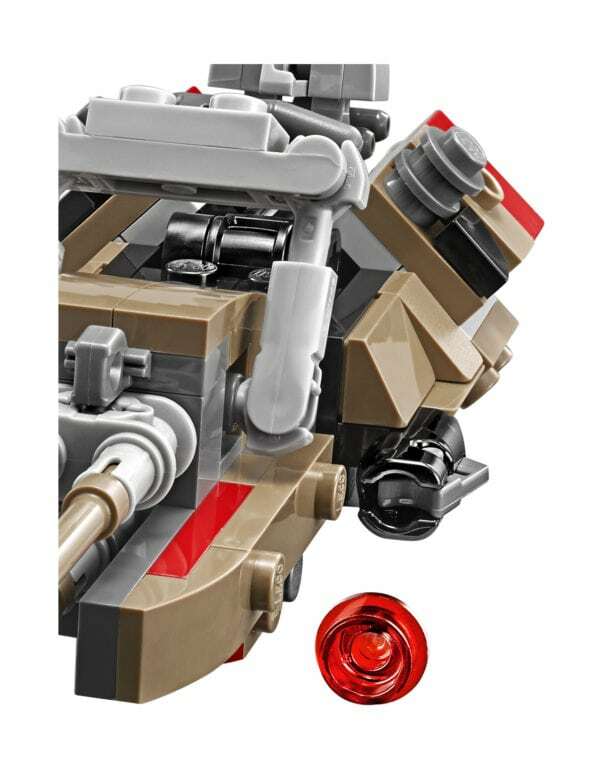 * Make believe the Range Troopers have real magnetic boots and climb them up the sides of the train! 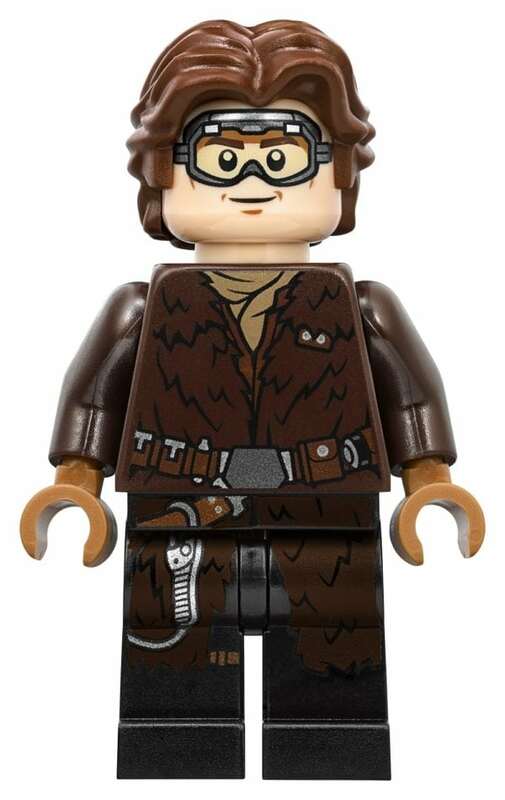 * Weapons include Han’s blaster pistol, Chewbacca’s sawed-off blaster rifle and the Range Troopers’ blaster rifles. 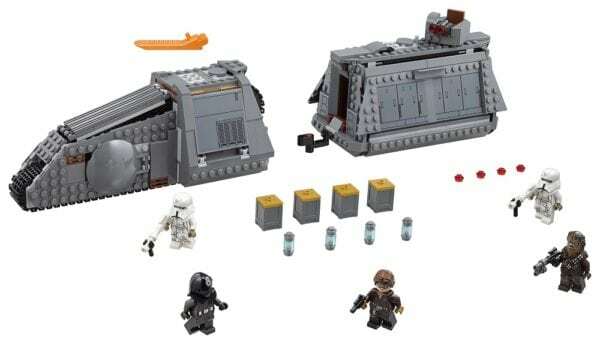 * Also includes 4 coaxium box elements in containers. 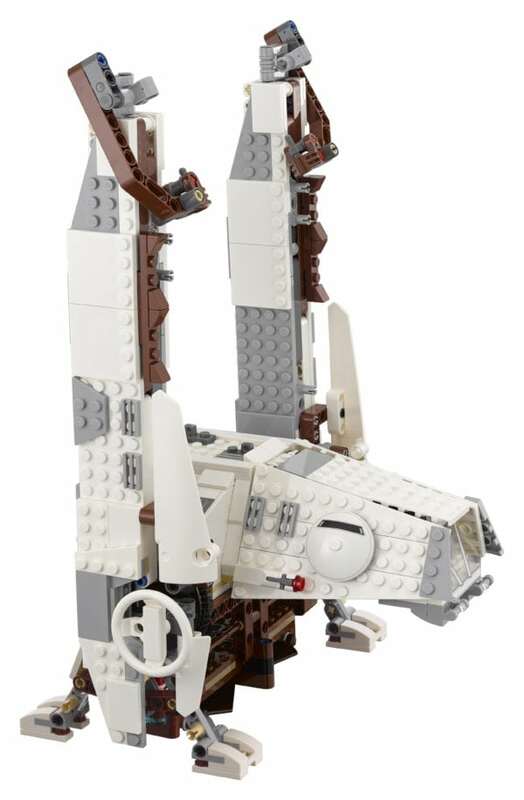 * Combines with the 75215 Cloud-Rider Swoop Bikes and 75219 Imperial AT-Hauler for the ultimate high-speed train heist. 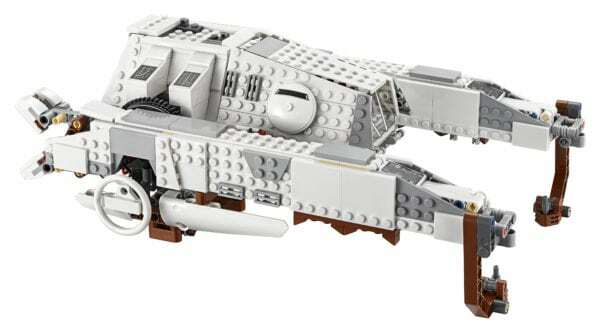 * Hitch up multiple sets for an even longer train! 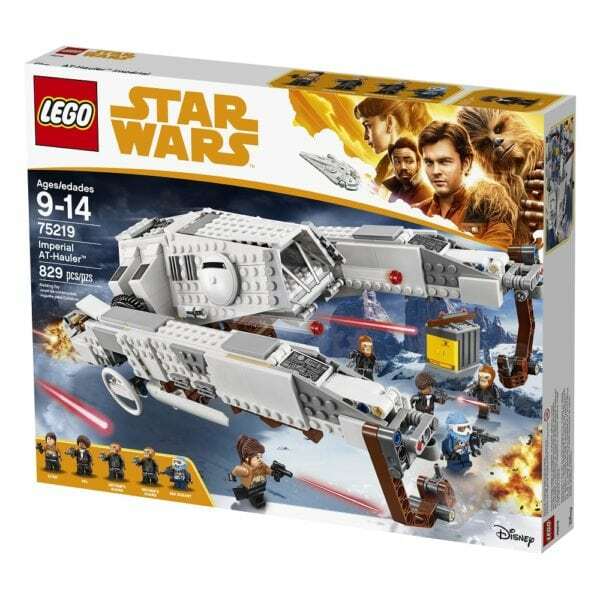 * Imperial Conveyex Transport with cargo wagon measures over 4” (12cm) high, 16” (43cm) long and 3” (9cm) wide. 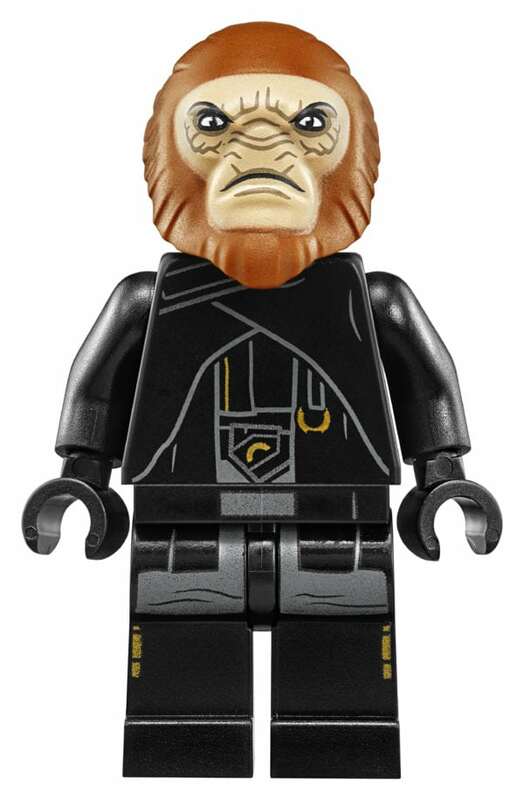 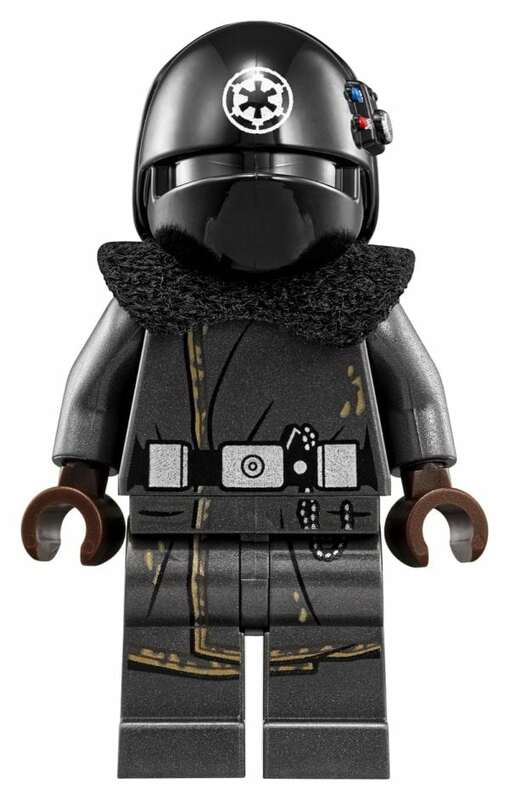 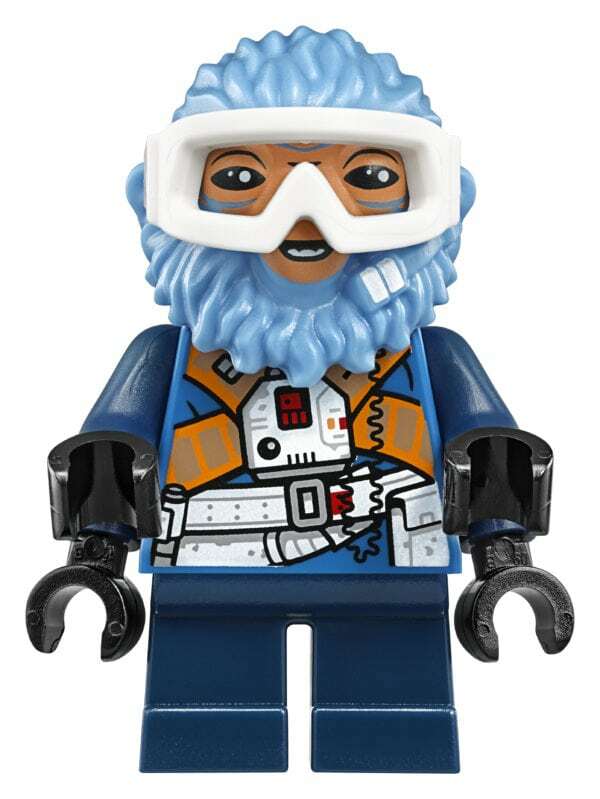 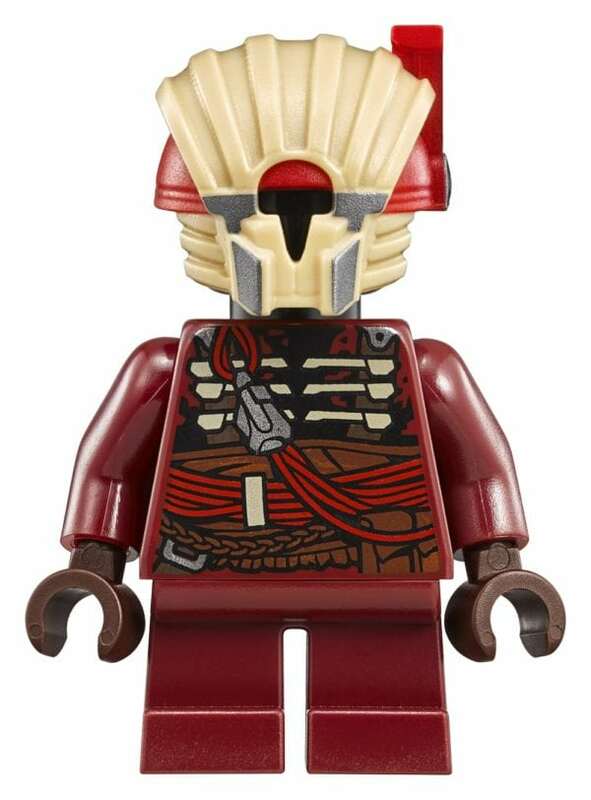 * Includes 3 minifigures: Tobias Beckett, Enfys Nest and Weazel. 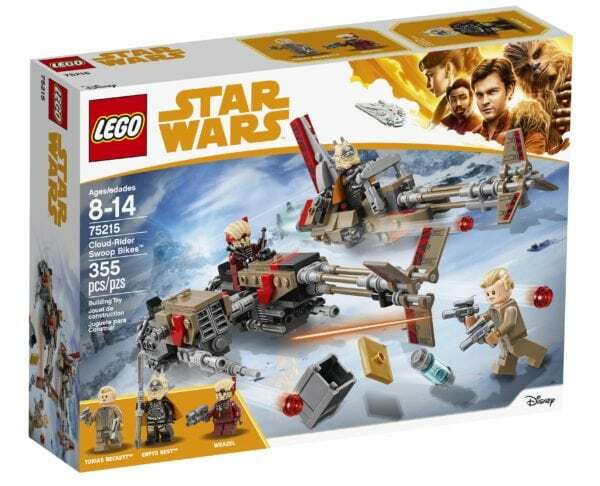 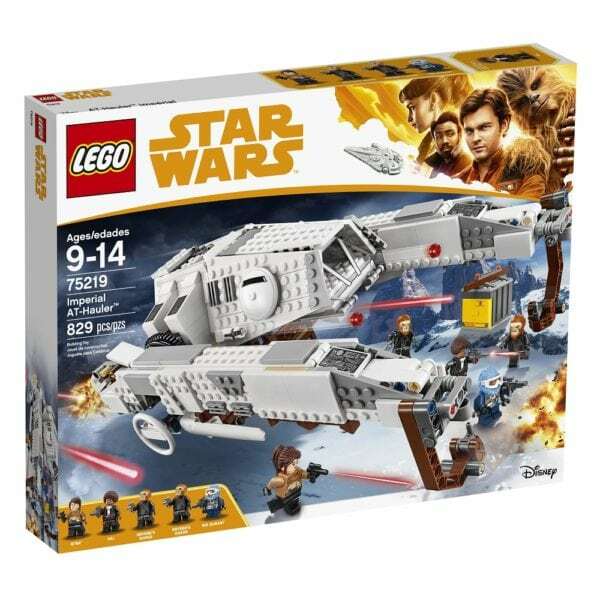 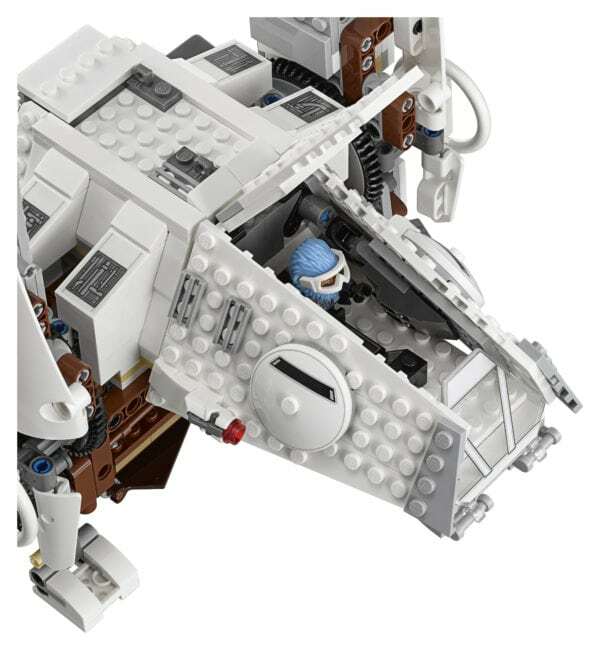 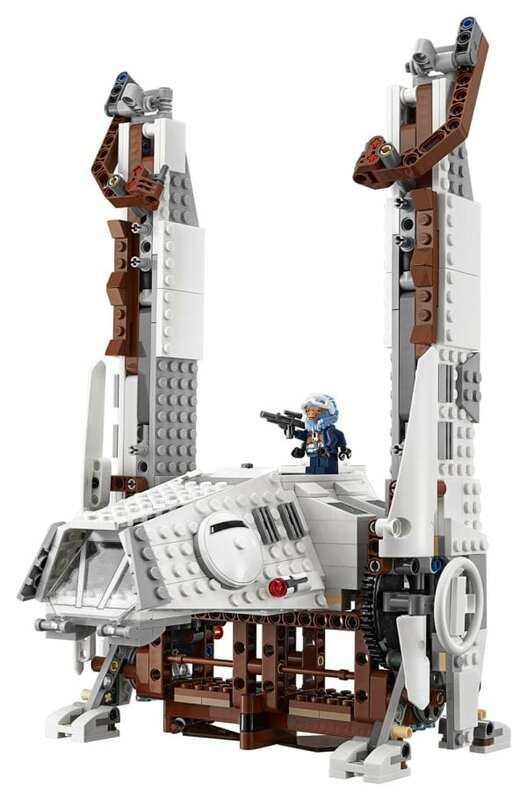 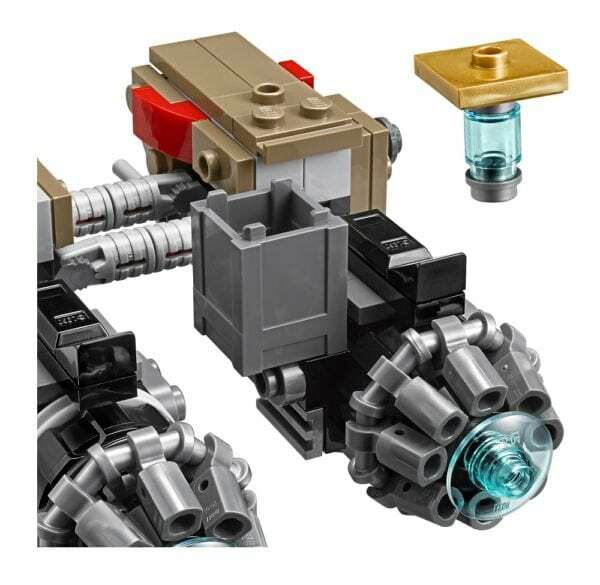 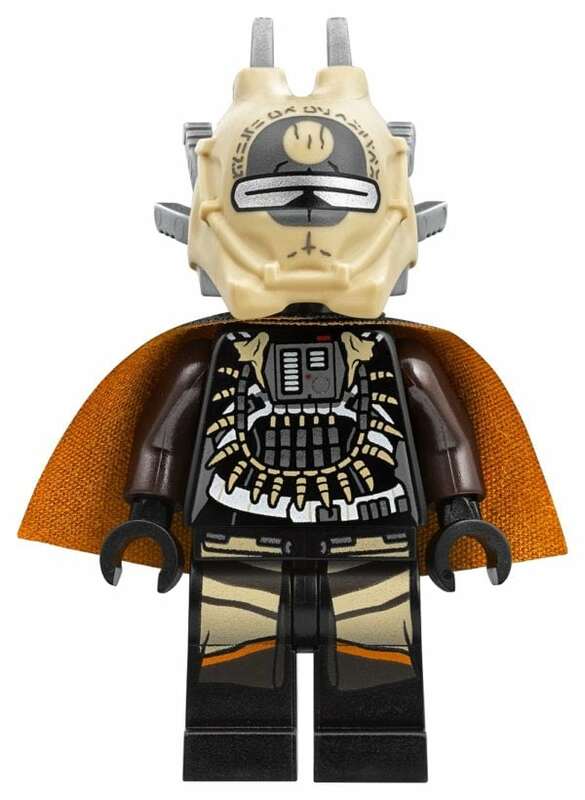 * Features 2 sleek swoop bike speeders with open minifigure cockpits and stud shooters. 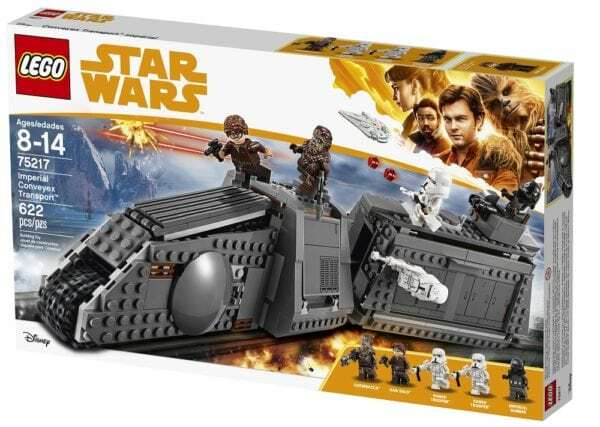 One also has a sidecar and space to store the included box of coaxium. 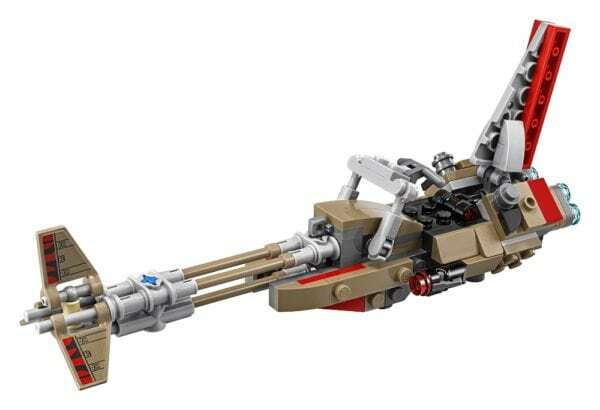 * Weapons include Beckett’s 2 blaster pistols, Enfys Nest’s weapon and Weazel’s blaster. 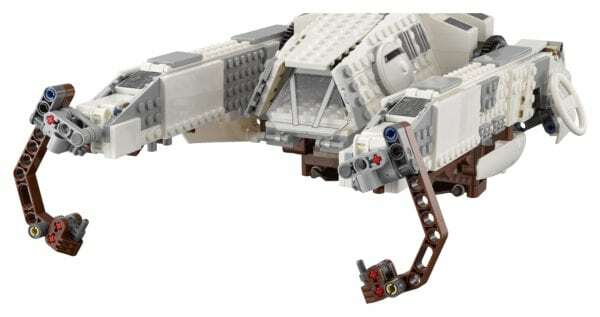 * Recreate amazing adventure scenes from Solo: A Star Wars Story. 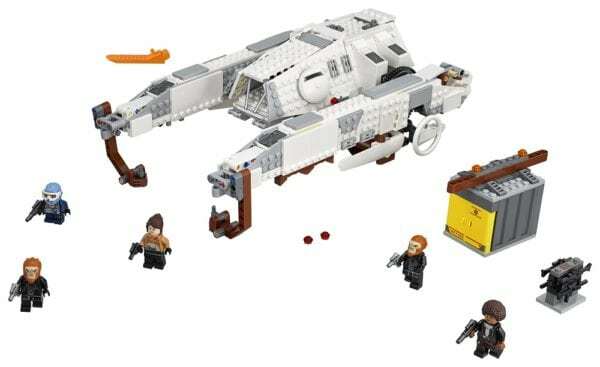 * Combine with the 75217 Imperial Conveyex Transport and 75219 Imperial AT-Hauler for the ultimate high-speed train heist! 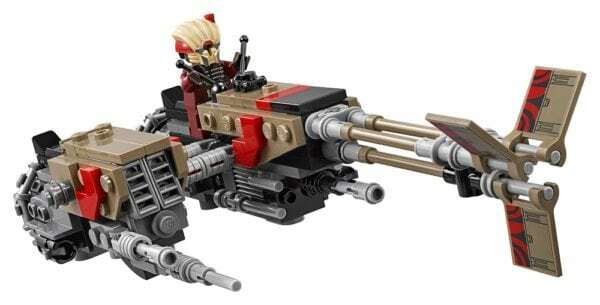 * Swoop bike with sidecar measures over 1” (5cm) high, 8” (21cm) long and 3” (9cm) wide. 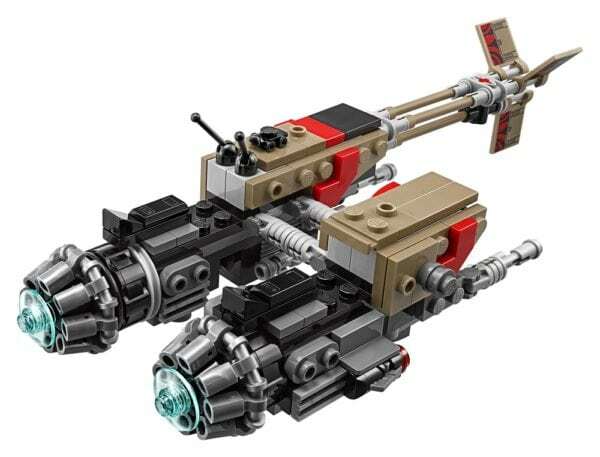 * Swoop bike without sidecar measures over 3” (9cm) high, 7” (19cm) long and 1” (5cm) wide.